Looking for a villa with flights where you decide all the options? With James Villa Holidays, the villa is just the start. We offer many extras when choosing your perfect villa including flights, car hire and much more. We know that everyone is looking for something different in their holiday that is why we offer a range of villa and flight options to suit you. When looking for villas and flight options, it is important to consider the flight times and dates that suit your needs best. With James, you can choose from a wide range of villas and flights that match your holiday requirements – not those of the masses. Whether you're looking for a tranquil farmhouse or a Tuscan villa this summer, or some all-year-round sun in Lanzarote, our great choice of airlines, flight times, and travel dates allow you to pair your villa and flights seamlessly. 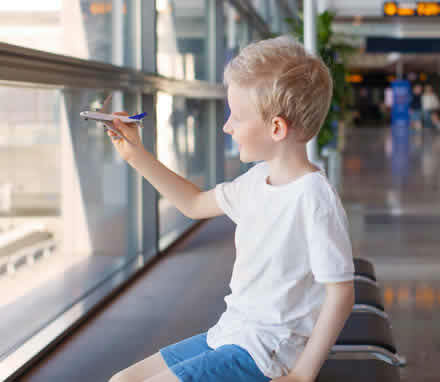 Plus, to make it more convenient for you, we offer flights from over 25 regional UK airports so you don't have to travel far to catch your flight. Booking your villa and flights with us means arranging your holiday is hassle-free and makes sure it is fully ABTA and ATOL protected. At James Villa Holidays we provide quality villas including flights at affordable prices so you can be sure you're getting a fantastic deal. We offer competitive prices on both villas and flights across our vast collection of villa holidays. If you're looking for a getaway departing in the next few weeks, why not take a look at our late deals where you'll always find fantastic last minute villas at great prices? Don't worry, you won't be compromising on quality - we offer exceptional value for money with hand-picked villas and flight options to suit you. Booking a villa holiday with us couldn't be easier. First of all you'll need to choose a destination and the villa that's right for you. We have over 2800 villas in a variety of destinations across Europe, the Caribbean and America to give you the widest choice to find one that suits you best. Once you've decided when and where you want to go and stay you can combine your villa with flights by choosing from the options on the villa page as you continue through to get a full quote for your holiday. Alternatively you can search for it all at once using our handy search facility picking the dates and airport you would like to depart from, number of passengers in your party and find the villa holiday that ticks all of your boxes. At James Villas we like to make booking your holiday easy and enjoyable. That is why we give you the option to arrange all aspects of your holiday with us, including car hire, transfers, airport parking and hotels, travel insurance and much more. Once you've chosen your villa and flights, why not look at our range of other options? 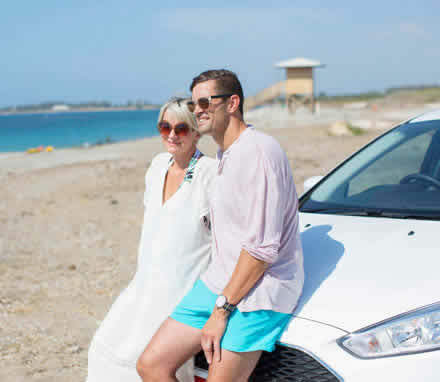 For those of you that want to drive and explore your holiday destination, we offer a wide range of car hire options, from budget to prestige. On the other hand, if you prefer not to hire a car, we can provide transfers as an alternative. Our transfers to the villas coincide with flight times, so you won't be waiting around in arrivals for hours! Book your villa holiday extras with us and let us take the hassle out of your holiday.